The sorry saga of the proliferation of the Soviet era Kh-55 missile is a case study in how the post Soviet apparatus of state in former Soviet republics has been unable to contain leakages of sensitive technologies. Rumours that China and Iran had acquired examples of the Kh-55SM missile from the Ukraine had been circulating for some years, but without any robust data to validate these claims. This all changed with the Orange Revolution in the Ukraine and the collapse of the regime of pro-Russian president Leonid Kuchma, earlier accused of selling long range ESM systems to Saddam Hussein prior to Operation Iraqi Freedom. Hrihory Omelchenko, deputy chairman of the parliamentary committee on organised crime and corruption, sent an open letter this January to the new Ukrainian president Viktor Yushchenko, in which he reported that government officials loyal to the former regime had actively obstructed investigations into the illegal export of the Kh-55SM missile to China and Iran. The affair occupied considerable bandwidth in the Ukrainian and Russian media earlier this year. According to multiple sources, the illegal transaction was initiated in 2000, when two Russians, O.H. Orlov and E.V. 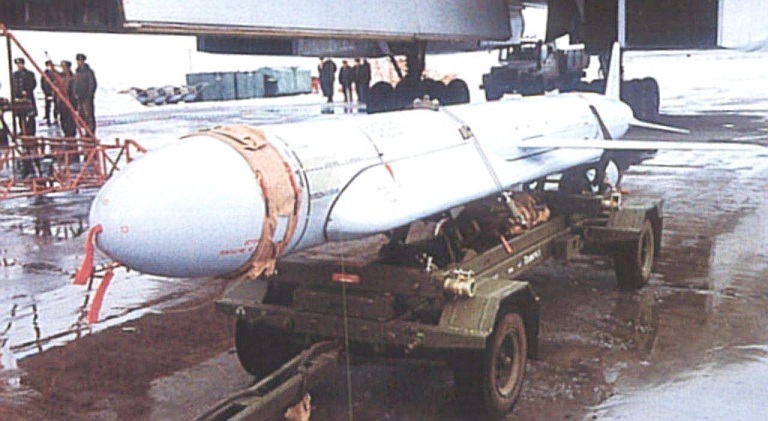 Shelenko, both associated with the Progress export company, produced a false Rosvooruzheniye arms export agency contract document for the supply of twenty Kh-55SM missiles. This contract was provided to UkrSpetzExport, a Ukrainian equipment exporter. The two Russians were aided by the head of the Ukrainian Ukrazviazakaz company, Vladimir Evdokimov, a reservist in Ukrainian intelligence. 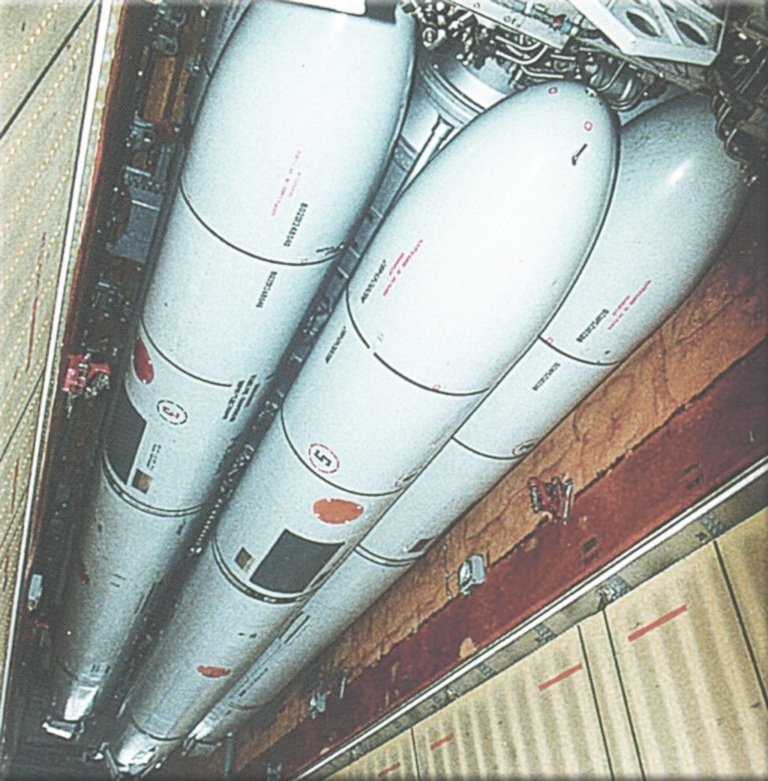 A chain of front companies was used to cover the transaction, with six Kh-55SM missiles claimed to have been flown to China in April, 2000, and another six to Iran in June 2001. The deal included a KNO-120 ground support system for testing, initialising and programming the missiles. The destination of the remaining eight rounds was not disclosed. Iran is alleged to have paid US$49.5 million for the missiles, with Orlov and Shelenko earning US$600,000 for their efforts. Russian and Ukrainian media also allege that an Australian national was part of the transaction. This transaction comes as no surprise to analysts familiar with contemporary Russian arms exports. US based analyst Dr Alexander Nemets disclosed some years ago that China was operating two parallel campaigns to acquire Russian weapons technology. One involved legal acquisitions via Rosoboronexport (formerly Rosvooruzheniye), the other not so legal acquisitions via the black market. 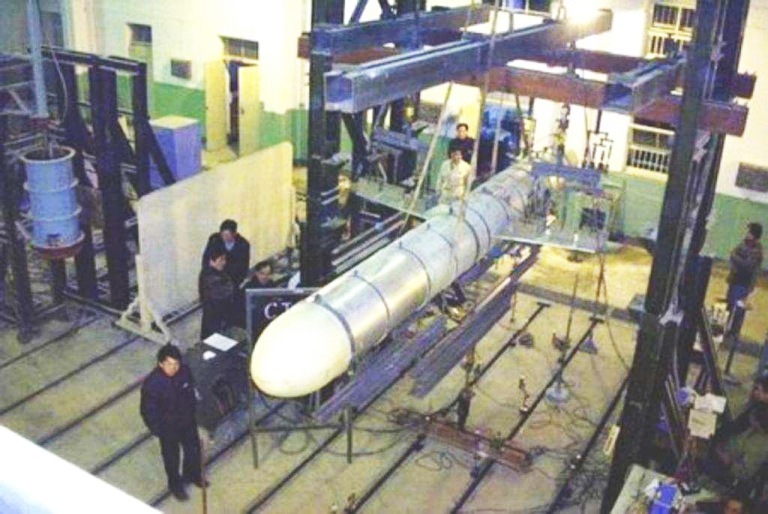 Iran's connections with the DPRK are also widely documented, and the export of DPRK ballistic missile technology to Iran provided a technological foundation for Iran's developing IRBM manufacturing infrastructure. Iran invested considerable effort in circumventing Western embargoes on exporting military technology, especially to maintain the large inventory of US aircraft and other equipment supplied during the reign of the Pahlavi regime. The significance of the Soviet era Kh-55SM should not be underestimated. This is the most capable strategic cruise missile in service globally, other than the US AGM-86B ALCM and BGM-109B Tomahawk. It is the backbone of the Russian air launched nuclear deterrent, equipping the Tu-95MS Bear H and Tu-160 Blackjack A bombers. Tupolev Tu-160 Blackjack A launching a Kh-55SM (RuMoD). Tupolev Tu-95MS Bear H 'raketonosets' cruise missile carrier (US DoD). 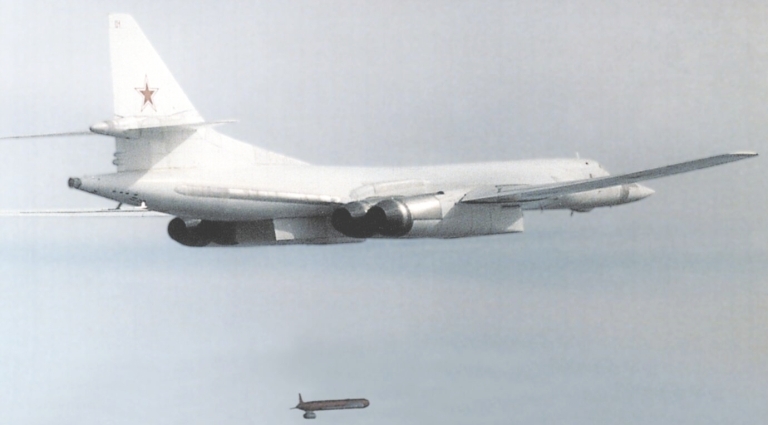 The Kh-55 family of cruise missiles owes its origins to a series of internal studies at the Raduga OKB during the early 1970s. Raduga were unsuccessful initially in convincing the Soviet leadership of the value of their concept, but this changed as public knowledge of the US Air Launched Cruise Missile program became better known in the Soviet Union. The Tomahawk uses a four surface tail control assembly with anhedral on the stabilators, whereas the Kh-55 uses only three larger surfaces, with more pronounced anhedral. The largely symmetrical aft fuselage of the Tomahawk differs from the more pronounced sculpting of the Kh-55 aft fuselage. The cylindrical fuselage configuration is essentially the same for both designs. The Tomahawk has a 21 in diameter, the Kh-55 a 20.5 in diameter, the Tomahawk weighed 2,700 lb at launch, the Kh-55 2,870 lb. The later blocks of the Tomahawk have a chined 'Beluga' nose to reduce radar signature, the Kh-55 retains an ogival/spherical nose. Like the Tomahawk, the Kh-55 spawned a range of derivatives, unlike the Tomahawk the Kh-55 became the dominant air launched weapon. The first generation of Kh-55s appeared in three configurations, entering service in 1984. 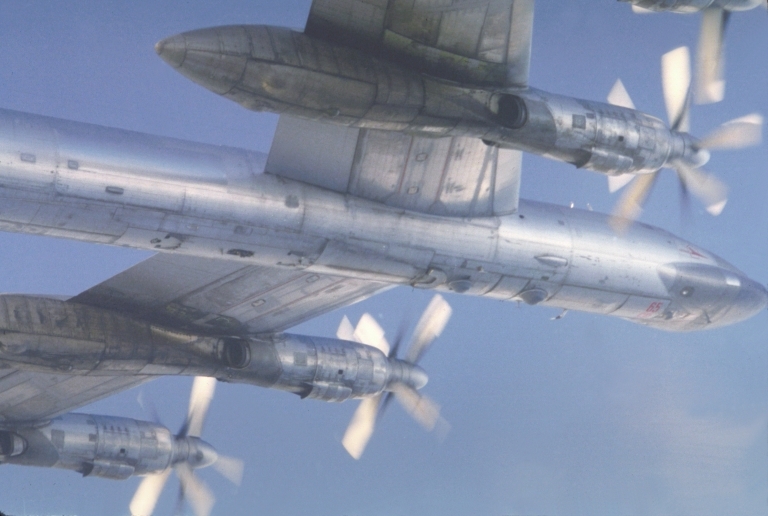 The 'Izdeliye 120' Kh-55 / AS-15A was air launched from the Tu-95MS using a MKU-6-5 rotary launcher and external pylons, the RKV-500A / SS-N-21 Sampson was tube launched from the Type 671 Victor, Type 945 Sierra and Type 971 Akula submarines, and the RK-55 / SSC-X-4 Slingshot tube launched from a MAZ-543M (MAZ-7310) 8x8 TEL, carrying six rounds. The aim of the Kh-55SM design was to further extend the striking range of the basic missile, cited at 1,350 NMI (2,500 km). This was achieved by adding a pair of conformal fuselage fuel tanks, which increased launch weight to 3,750 lb (1,700 kg), but increased cruise range to 1,620 NMI (3,000 km) with a 200 kT warhead fitted. The naval variant of the Kh-55SM was designated the RKV-500B. The Kh-55SM is an attractive target for reverse engineering, as the design is implemented suing 1970s Soviet technology. As such the electronics in the guidance system can be readily reversed engineered using commercial components, and the structure and engine use commodity materials technologies. While many nations have the engineering capability to design an airframe in the class of the Kh-55 and Tomahawk, developing and integrating the guidance package and engine is much more demanding. The low density electronics technology in the Kh-55SM is a case in point. Built using first generation Soviet embedded computers, the hardware is simple enough to copy directly and the software, coded in assembly language as was customary during that period, could be downloaded with no difficulty. Publicly available software tools such as reverse assemblers could be adapted with little effort to reconstitute the original source code for the missile navigation and guidance package, and ground support equipment. Unlike contemporary US weapons which use complex anti-tamper techniques in the software and integrated hardware, the Kh-55 predates this model by a generation. Once the party performing the reverse engineering has reconstituted the original software, and cloned the original hardware, the reverse engineered Kh-55 can be launched on its own evolutionary path as a derivative design. This means additional navigation sensors to feed the Kalman filter, and a range of possible improvements to the missile's trajectory and navigation algorithms. In Third World economies with low labour costs, series production costs are not the issue they are in the developed world. The only components in the design which could present difficulties for a new player are the engine turbine and combustors, which require some skill in metallurgical techniques to achieve viable durability in a four hour flight profile. There is little doubt that China has the capability to wholly reverse engineer the Kh-55SM. Some Western analysts have argued that China's acquisition of these weapons makes no sense, as China is designing its own Tomahawk class weapons. This is not a robust argument for several reasons. The first is that China has in recent decades nearly always run parallel development programs, using wholly indigenous and licenced or reverse engineered foreign technology. More than often the foreign design has displaced the indigenous design. The second reason is because the integration and testing of cruise missiles is very expensive, and remains so globally, due to the complexity of such weapons. While an indigenous design may have working components, the system may not function adequately as a whole. Reverse engineering the internals of the Kh-55, or parts thereof, makes for a viable shortcut to save time and money. The third reason is the simple expedient of time to production. Any indigenous weapon will require many years of cyclic design evolution and flight testing to achieve credible reliability for operational use. Cloning a bulletproof and proven foreign design avoids this pain. Photographs of Pakistan's new Babur cruise missile, recently revealed, bear considerable similarity to the baseline Kh-55. We should not be surprised to learn at a future date that it is a licenced variant of a Chinese clone of the Kh-55. Pakistan's licence manufacture of other evolved but earlier cloned Russian hardware, such as MANPADS, supplied via China, makes for a good precedent. 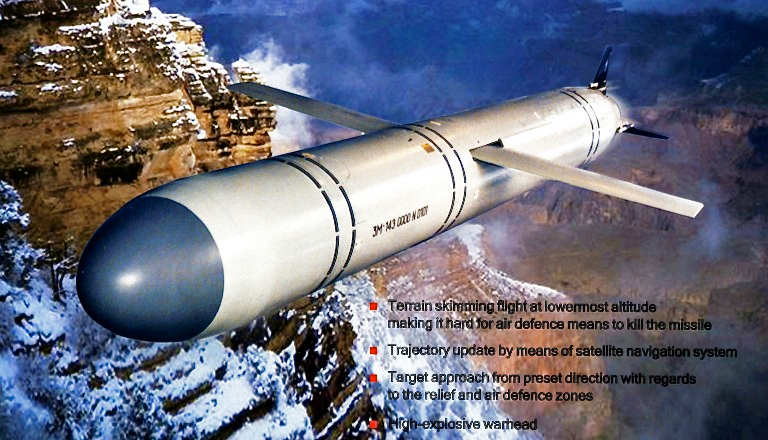 To date indigenous Chinese cruise missiles have not matched the range performance of the Kh-55 series, this itself being a good incentive to reverse engineer the Russian design. Iran's capacity to indigenously reverse engineer the Kh-55 is open to question. To date much of Iran's experience has been confined to component reverse engineering, rather than complete systems engineering. 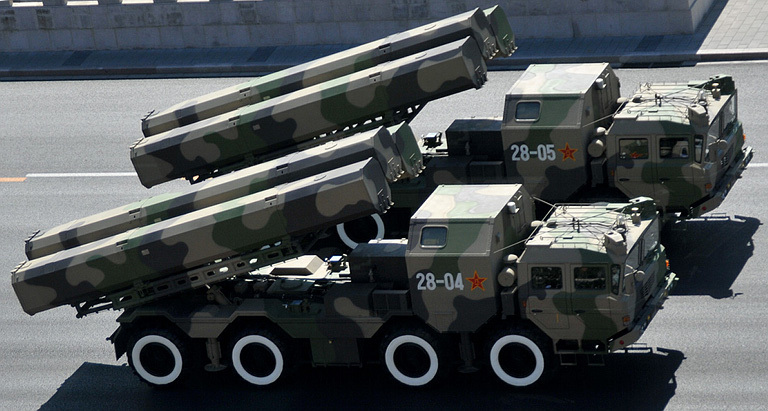 The Shahab 3 series are licenced DPRK designed No Dongs, similar to the Pakistani Ghauri II design. There is a large gap between reverse engineering individual components, or licence assembling proven designs, in comparison with tearing down a design and re-engineering it from the ground up. The same could not be said for the DPRK, which has proven quite competent at evolving Russian IRBM designs, and designing and manufacturing often complex guidance and propulsion components. The Sankei Shimbun claims by Japanese sources should thus be taken seriously. Given the well documented earlier collaboration between Iran and the DPRK on IRBM development and production, an analogous play using reverse engineered Kh-55s is entirely credible. Iran has oil derived funds and the DPRK has integration expertise. Neither of the these nations has good access to alternative sources. Until recently Iran, the DPRK and China have relied primarily on ballistic missile technology to provide strategic striking power, with the former two yet to have the capability to produce compact nuclear warheads suitable for such applications. The emerging US National Missile Defence system, and parallel effort to develop theatre missile defence capabilities, will blunt if not nullify any offensive advantage offered by ballistic weapons. While ballistic weapons offer short flight times, they achieve this at the expense of easy detection at launch via boost phase heat emissions, and easy detection in midcourse and terminal flight, due to the radar signature of the warheads and ionisation trails during re-entry. As a result ballistic weapons provide little if any surprise effect in combat. As the US effort in BMD capabilities matures, smaller users of ballistic missiles will be confronted with the reality that most if not all of their missiles will be intercepted if launched, and any launches will be detected within seconds by early warning satellites, inviting immediate nuclear retaliation. Cruise missiles present a viable means of bypassing the US NMD and TMD systems, once deployed. With very low heat and radar signatures, cruise missile launches are difficult to detect, and the weapons remain difficult to detect and track throughout their low flying cruise profiles. Unless an Airborne Early Warning & Control asset is on station, the missiles may elude detection until they hit their targets. The idea of using cruise missiles to bypass the NMD program is hardly new. In 2002 Russian analyst Alexander Mozgovoi, writing for Rosvooruzheniye house journal Military Parade, argued this case persuasively: 'Low-visibility and low-flying cruise missiles can foil the U.S. efforts to develop the NMD'. Another consideration is the cost of maintaining a warstock, and the capacity to deploy it covertly. Ballistic missiles are expensive in terms of exotic materials, propellants and component technologies designed to operate in a high vibration, rapid temperature change, high G environment. Cruise missiles can be built using 1970s aircraft technology. The size of IRBMs limits the number which can be carried to a single round on a TEL, and a large one at that. A single TEL can deploy four to six cruise missiles each of similar range and throw weight to the single IRBM carried by an equivalent TEL. Cruise missiles are easily adapted for air launch, ship launch and submarine launch environments, the latter including torpedo tubes, vertical launch tubes, and slanted launch tubes. There can be little doubt that cruise missiles will become the weapon of choice for nations intent on challenging US global power. Tupolev Tu-95MS Bear H (US DoD).